This Book is published in 5 languages. You can receive this book at the Office of Aoba ward and Aoba lounge. You can read now PDF,Please click the BUTTON. 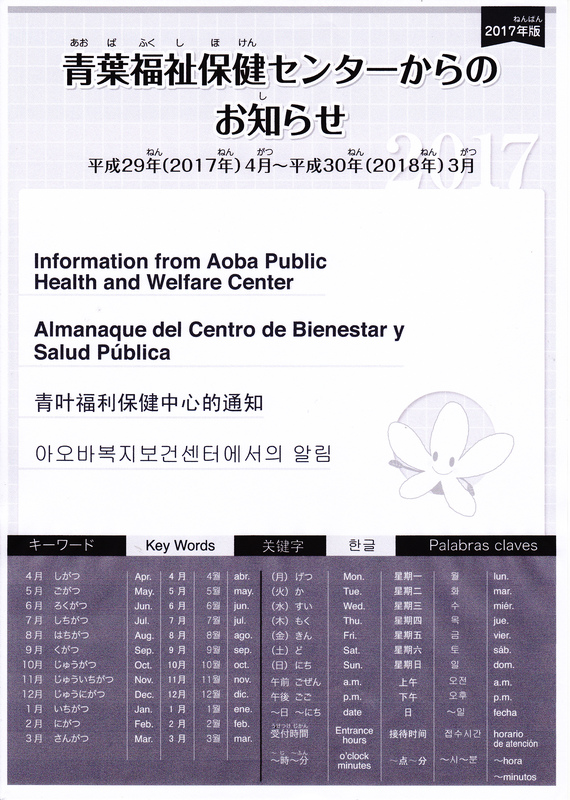 Book "Information from Aoba Public Health and Welfare Center"